In normal circumstances the family of the deceased makes initial contact with a Funeral Director and the Funeral Director then contacts the Parish Clergy. After this initial contact a member of the Parish Clergy will then be in touch with the family to arrange a pastoral visit and to discuss the funeral arrangements. Funerals can be held in Saint Peter’s Church, at a crematorium or at the graveside. One of the Parish Clergy can conduct a service at any of these locations. If the body of the deceased will be cremated, it is normal for the whole service to be held at either the church or the crematorium and not to have services at both locations. If the body of the deceased will be buried it is normal for the service to be held at the church with a second shorter service following at the graveside. We invite you to consider making arrangements for mortal remains following cremation to rest within one of the niches in the columbarium on the church site. For further information please contact the Parish Office. 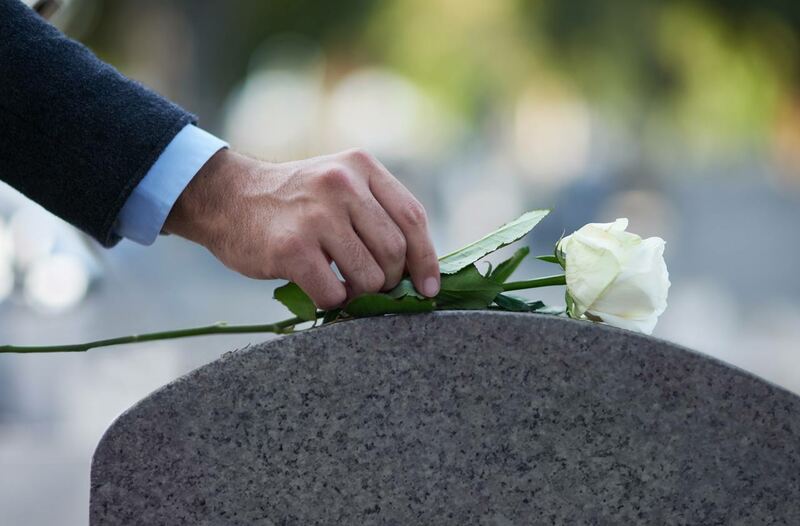 We provide a funeral customary for those who wish to prepare their funeral arrangements as an act of faith in God, and love for their families.